Stay organized with purposeful spaces for your wine. 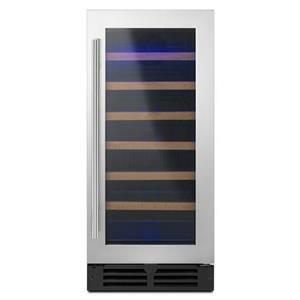 This wine center refrigerator with LED lights keeps what's inside looking as good as it tastes and tucks away under the counter to accommodate any space. 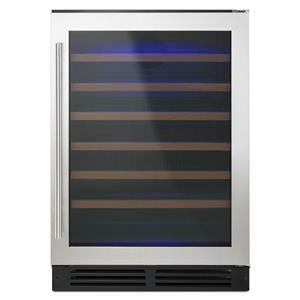 Plus, you can store up to 34 bottles of wine in this refrigerator with wine storage. 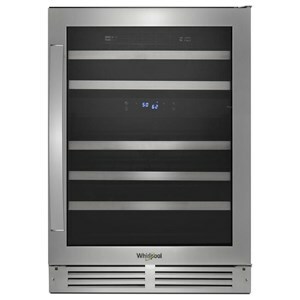 The Wine Cellars 15-inch Wide Undercounter Wine Center with 34-Bottle Wine Storage by Whirlpool at Furniture and ApplianceMart in the Stevens Point, Rhinelander, Wausau, Green Bay, Wisconsin Rapids, Marshfield, East and West Madison, Wisconsin area. Product availability may vary. Contact us for the most current availability on this product. 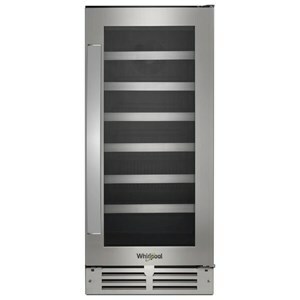 The Wine Cellars collection is a great option if you are looking for Appliances in the Stevens Point, Rhinelander, Wausau, Green Bay, Wisconsin Rapids, Marshfield, East and West Madison, Wisconsin area. 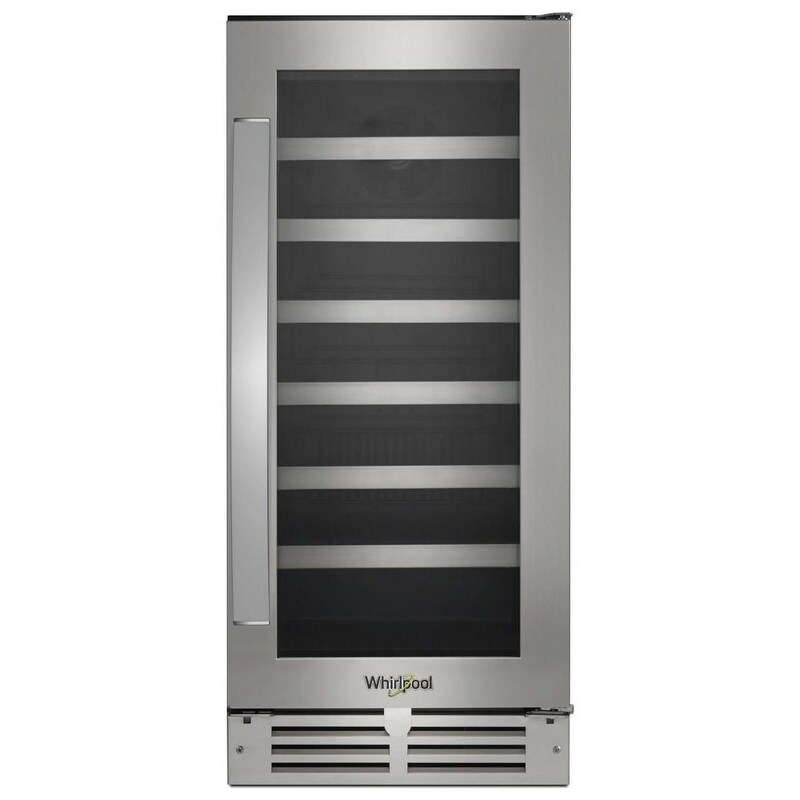 Browse other items in the Wine Cellars collection from Furniture and ApplianceMart in the Stevens Point, Rhinelander, Wausau, Green Bay, Wisconsin Rapids, Marshfield, East and West Madison, Wisconsin area.